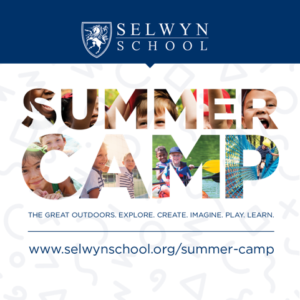 At Selwyn School, outdoor education has always been an integral aspect of our curriculum. Our outdoor education program is a collaboration between teachers and students across all grades and subjects, with a focus on project-based learning activities. On our campus, the environment is an extension of the classroom that offers many benefits that can’t be provided solely indoors. A natural extension of experiential learning, our outdoor program puts theory into practice, allowing time for creativity and reflection that helps accelerate the learning process and cement the learned topics into the minds of Selwyn students. In addition, each year students have the opportunity to experience the benefits of outdoor education during a day- to week- long trip through our Perspectives Travel Program depending on the grade level. Our outdoor education program allows students to form relationships with classmates they might not normally interact with on a daily basis. Students work together in groups to solve problems and discover more about the world around them, all the while forming deeper connections with their team. Working outdoors and sharing exciting experiences together helps to improve social skills, peer cooperation, and conflict resolution. They also develop a common language, packed with “inside jokes” and terminology that is used nowhere else. A unique culture arises around their shared experiences. The activities are designed so that older students can help lead lessons, allowing for peer teaching and the development of leadership and community. Younger and older students rise to the occasion, surpassing normal expectations and standards simply because they are outside. The alternate setting allows them to demonstrate what they’ve learned in the classroom in the real world. By encouraging students to leave their comfort zones, outdoor education helps to build self-esteem and self-confidence. Spending time in nature, away from computer, television, and smart phone screens lends serious benefits to the health of children. Exposure to the environment decreases stress and anxiety, elevates mood, and helps maintain a healthy emotional balance. The opportunity for sensory, hands-on learning, rather than watching a video, cultivates positive feelings and memories around the outdoors and school. Years later, you can ask students about their outdoor education experiences and receive highly detailed, elaborate answers.